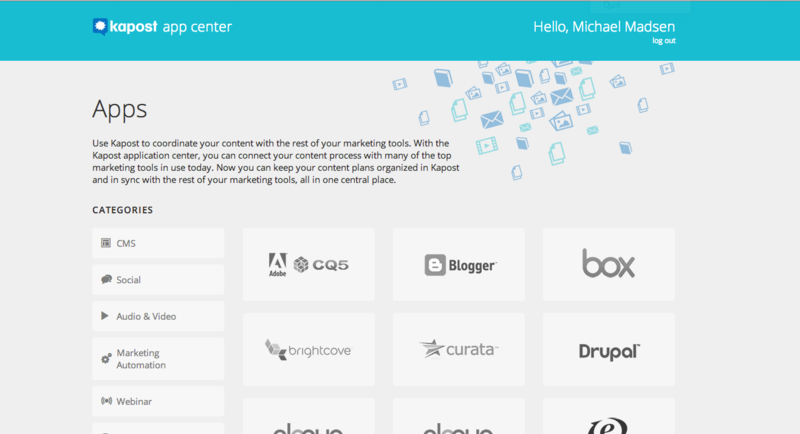 The App Center is where you install any of Kapost's third party applications/integrations, including your various online publishing integrations. To access the App Center, navigate to the settings area on the left side. Click App Center. From there, you will be taken to a list of your current installed applications. To access the App Center to add a new one, click the "Install More Apps" at the bottom of this list. This will take you to the App Center. 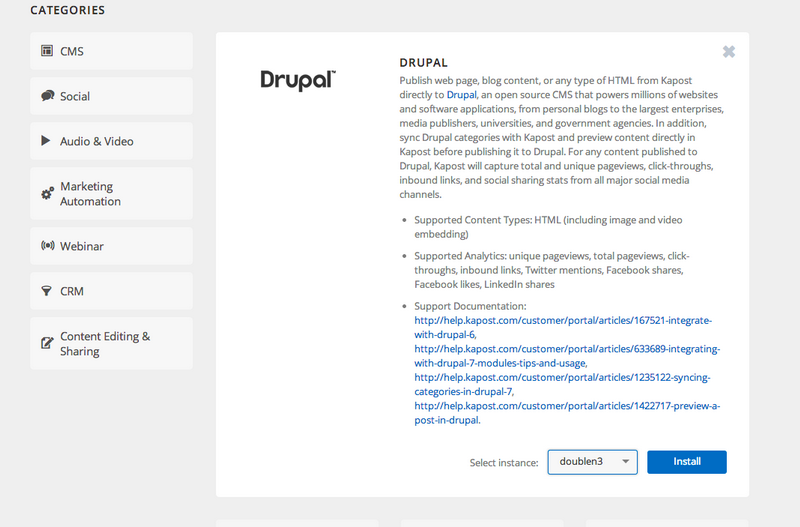 Click on the logo button for the application/integration you'd like to install. From here it will prompt you to choose which of your accounts you'd like to connect to - choose this under "Select Instance." Click "Install." Clicking "Install" will take you back to your list of installed applications in Kapost, and prompt you to fill out your authentication information for the specific application you are trying to install. Some applications may require a few extra steps - feel free to contact your CSM if you have any questions. If you'd like to edit one of your current applications, on the App Center page, simply click "Edit" next to the application you'd like to change.